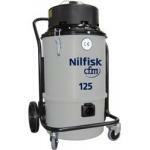 The new model CFM 125 is the new industrial vacuum designed to operate with electrical tools, surface treatment machines… It can collect the dusty materials such as cement, resin, paint, wook produced during the surface treating processes. 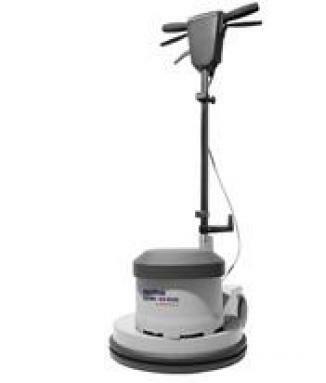 Model 125 is an industrial vacuum cleaner for dust and solid waste equipped with 2 single phase, by pass motors of 800 Watts each. Its filter chamber and bin are made of light, shock resistant plastic, ideal to easily move the vac from one place to the other. The head, shock-resistant as well, holds the manual filter shaker, granting an efficient cleaning of the "M" class Star filter supplied as standard. he inlet is on the bin and the collected material is conveyed directly into the paper bag supplied with the machine. 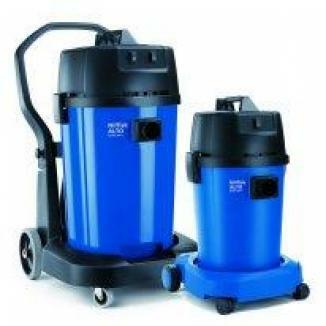 An absolute "H" class HEPA 14 filter, for hazardous powders is also available and easy to fix. 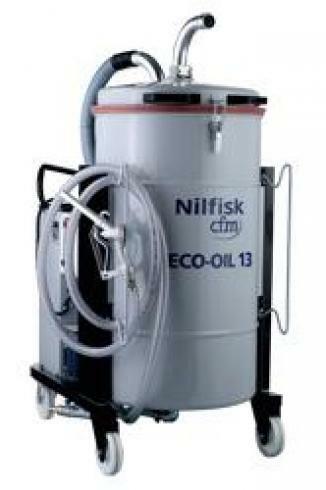 it is particularly suited to hold particles up to 0,18 µm (efficiency 99,995% measured with the M.P.P.S. method). A D. 50 mm fitting is supplied with the machine to connect the vac with a flexible pipe, which can be chosen among the wide range of CFM accessories. 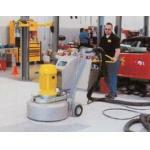 Two big wheels allow to easily move the vacuum even on rough surfaces as it may occur on building sites. A built in bin release system makes it extremely easy to empty the bin.